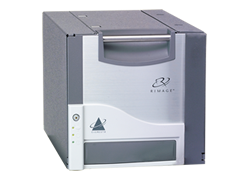 Rimage's exclusive thermal transfer technology is designed specifically for your CD or DVD printing. The Everest III provides photo realistic quality, durability and no smudge indelible printing. Free lifetime phone support.